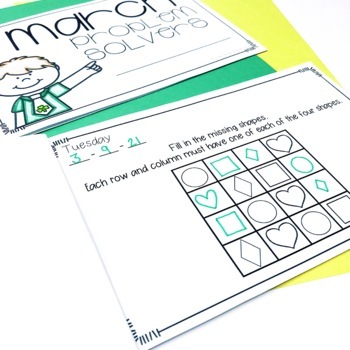 Sometimes we sell our little kiddos short when it comes to math problem solving! 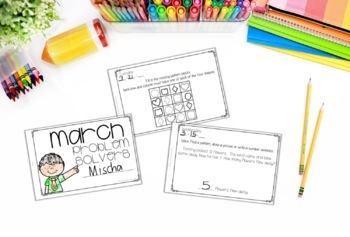 These March Problem Solvers will give your students a chance to stretch their brains and show their thinking! The first two weeks of problems have a specific answer. 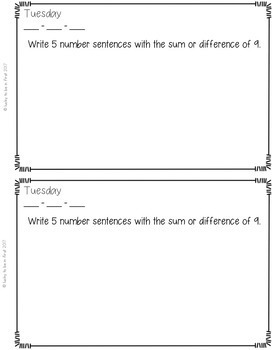 The last two weeks are open-ended and allow your students to really show their thinking! 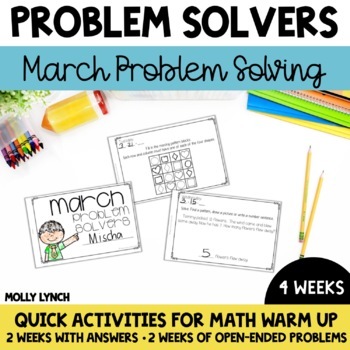 Check out the Problem Solvers Bundle and SAVE! Connect with Lucky to Be in First: Be the first to know about my new discounts, freebies and product launches: Look for the green star next to my store logo and click it to become a follower! You will now receive email updates about this store.